SOLDIER, ESCAPER, SPYMASTER, POLITICIAN – Airey Neave was assassinated in the House of Commons car park in 1979. 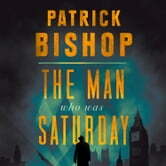 Forty years after his death, Patrick Bishop’s lively, action-packed biography examines the life, heroic war and death of one of Britain’s most remarkable 20th century figures. Airey Neave was one of the most extraordinary figures of his generation. Taken prisoner during WW2, he was the first British officer to escape from Colditz and using the code name ‘Saturday’ became a key figure in the IS9 escape and evasion organisation which spirited hundreds of Allied airmen and soldiers out of Occupied Europe. A lawyer by training, he served the indictments on the Nazi leaders at the Nuremburg war trials. An ardent Cold War warrior, he was mixed up in several of the great spy scandals of the period. Most people might consider these achievements enough for a single career, but he went on to become the man who made Margaret Thatcher, mounting a brilliantly manipulative campaign in the 1975 Tory leadership to bring her to power. And yet his death is as fascinating as his remarkable life. On Friday, 30 March 1979, a bomb planted beneath his car exploded while he was driving up the ramp of the House of Commons underground car park, killing him instantly. The murder was claimed by the breakaway Irish Republican group, the INLA. His killers have never been identified. 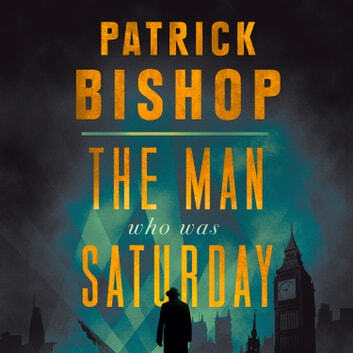 Patrick Bishop’s new book, published to mark the 40th anniversary of his death, is a lively and concise biography of this remarkable man. It answers the question of who killed him and why their identities have been hidden for so long and is written with the support of the Neave family.